The Hearst UK chief executive explains how his French heritage and British pragmatism will help build the publisher's global reputation. Good Housekeeping Institute, opened in 1924, began to trial a growing market of domestic appliances under the slogan "tried & tested" – which is still trademarked and used today. 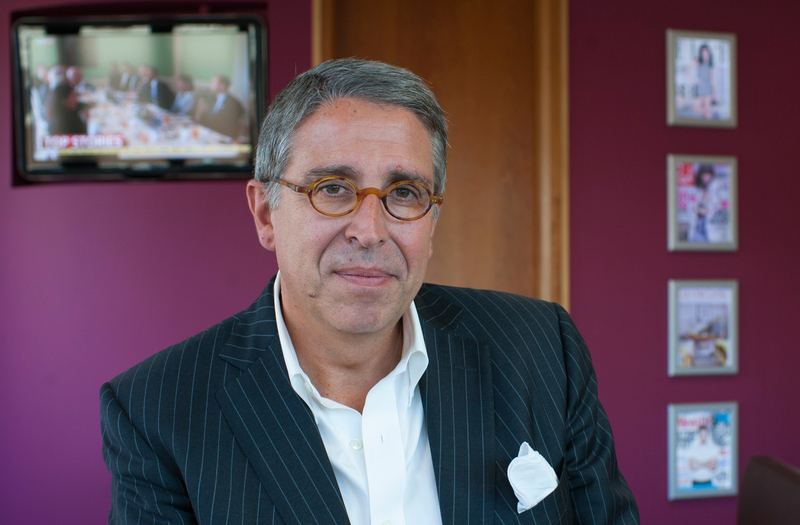 Some 90 years on, the monthly magazine has survived the feminist revolution to remain culturally relevant, tackling the challenges of the digital age under Hearst UK’s chief executive, Arnaud de Puyfontaine. "This is one of the most beautiful brands that you can think of in terms of awareness, and its role in what currently is British society," the Frenchman says. "It is a brand you are going to hear about a lot. It’s part of the story of the society because it has engaged with the households." With a coverprice of £3.90 and a circulation of 380,000, it is generally believed to be Hearst’s most profitable title. Major brands advertising in the October issue include L’Oréal, Marks & Spencer, Clinique, Kia and Flash. De Puyfontaine arrived at Hearst – and on UK soil – in 2009 with a charismatic zeal that is aptly described as joie de vivre. He was a founder and former chief executive of Emap France, which was later bought by the Italian group Mondadori, and has also advised Nicolas Sarkozy on the economic challenges facing the press industry. His office in Hearst’s London headquarters reveals a fierce patriotism for both his native and adopted lands: the tricolour adorns his computer desktop, while pencils sit in Union Jack mugs next to it. A sizeable Winston Churchill picture is framed in the corridor. He describes himself as "half and half" culturally. A degree of assimilation is crucial to his success at Hearst, which also publishes Cosmopolitan, Men’s Health, Esquire and Harper’s Bazaar. "I love my cucumber sandwiches, but I wouldn’t be complacent," he says. "I learn about English culture every day. I’ve got the exciting challenge to mix the creative Latin side of my personality with what we French call the Anglo-Saxon things: a sense of pragmatism and energy." De Puyfontaine views Hearst as a multifaceted company around "entertainment, service and information" and notes that its acquisition of the digital agency iCrossing in 2010 "could have been done by WPP or Publicis". The company is transforming into a digital outfit by rearranging its offices and retraining staff. A weekly tablet edition for Esquire launched just last week, and de Puy-fontaine reveals a target of 100,000 downloads has been set for the first three months. "The industry is going through a very Darwinian type of experience," he says. "My proposition is to be one of the winners in that journey." But he admits there have been sacrifices along the way: "It is not easy. This is what I learnt while I was at Emap. It’s difficult because you are talking about change and risk." It is early days, but the digital foray appears to be paying off. Added together, Hearst’s digital editions have a larger circulation than that of its rivals, according to the latest ABC figures. E-commerce is set to become a more central part of the business – Esquire Weekly lets users book restaurant tables or buy products from within the app. Similar launches are planned. De Puyfontaine’s enthusiasm has won him a warm reception among his peers. "It is always a pleasure to compete with Arnaud," Nicholas Cole-ridge, the managing director of Condé Nast Britain, says. "He is a classic French boss – a little bit formal, with a Gallic charm and a healthy ego, a sense of occasion and a love of good wine and food." Peter Phippen, the deputy chairman of Immediate Media, adds: "Arnaud joining when he did was very valuable to Hearst. Whether he is able to transform the business quickly into a genuinely multiplatform company remains to be seen, but he’s certainly well-equipped to do that." As a high-flyer in French society, de Puyfontaine is a natural friend to figures such as Maurice Lévy, whom he has known for 20 years. He does foresee fewer print titles in the future due to the number of copycats in the market, but says declining ABC trends are "missing all the points about the reality of what’s happening in the industry". He adds: "I’d rather have an ABC decrease because we are publishing at capacity and selling good magazines with a solid type of readership, rather than an increase caused by bulk or a pricing push." His ultimate goal is to build on Hearst’s international growth – despite being a pioneer in licensing, he feels it only truly became a worldwide player when it bought Lagardère, which owns the Elle publisher Hachette Filipacchi, two years ago. De Puyfontaine promises us: "The best is yet to come."